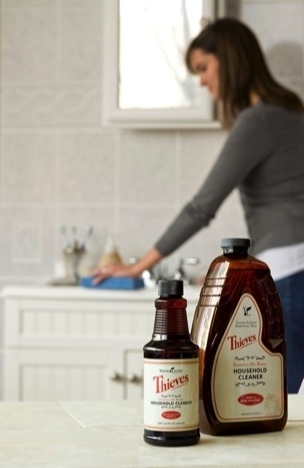 Thieves® Household Cleaner has increased cleansing power and an even safer, more sustainable formulation. The new formula contains ingredients from renewable plant and mineral sources, vegetable-based surfactants compliant with the Green Seal and EPA Design for Environment (DfE) standards, and even more Thieves and lemon essential oils for extra cleaning power. Bottle is 100% recyclable. Dilution ratios: light degreasing 60:1; medium degreasing 30:1; heavy degreasing 15:1; floors 100:1; walls 30:1; upholstery, fabrics, carpet spotting 40:1; carpet 100:1; glass 320:1; pots and pans; 100:1 hand cleaner 1:1. Notice: Before cleaning upholstery, fabric, or carpet, perform a spot test in an inconspicuous location. 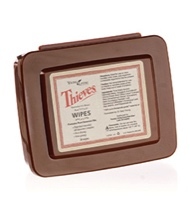 Discontinue use in the unlikely event of staining or skin irritation. 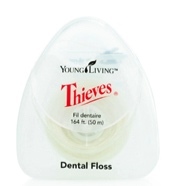 Dental floss - Saturated twice with the power of Thieves essential oil blend and peppermint essential oil, this hard-wearing floss provides two layers of essential oils, offering double the protection to freshen your breath and promote healthy gums. 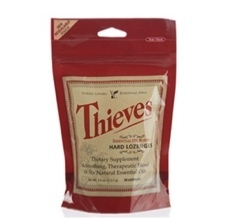 Featuring our newest addition to the renowned Thieves® product line, Thieves Foaming Hand Soap, Young Living's Thieves Autoship Pack ensures the benefits of this revolutionary essential oil blend are always on hand. 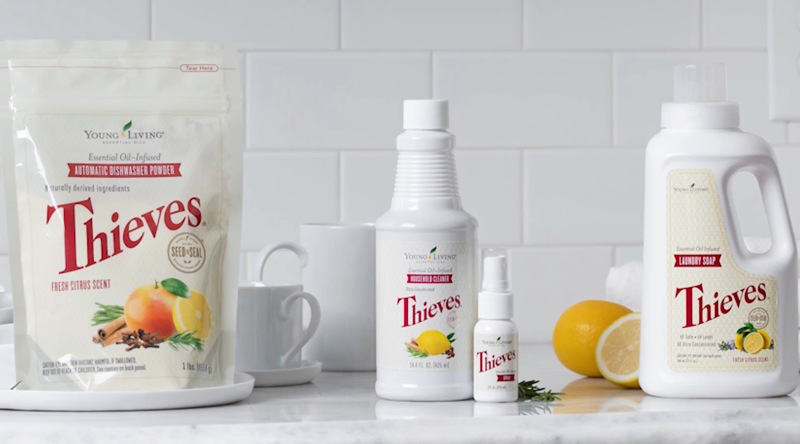 The purifying action of Thieves essential oil is available in a wide variety of products for the home, including oral care, cleaning products, and aromatherapy, and with the simplicity of our autoship program, they're automatically shipped to you each month! Take advantage of the ease of autoship and save $18.75 off the wholesale price with this innovative product offering. 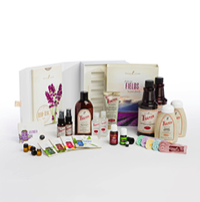 You can view the full Young Living Product line on Young Living's Virtual Product Guide.